Plumbago plants grow well in Houston, Texas. 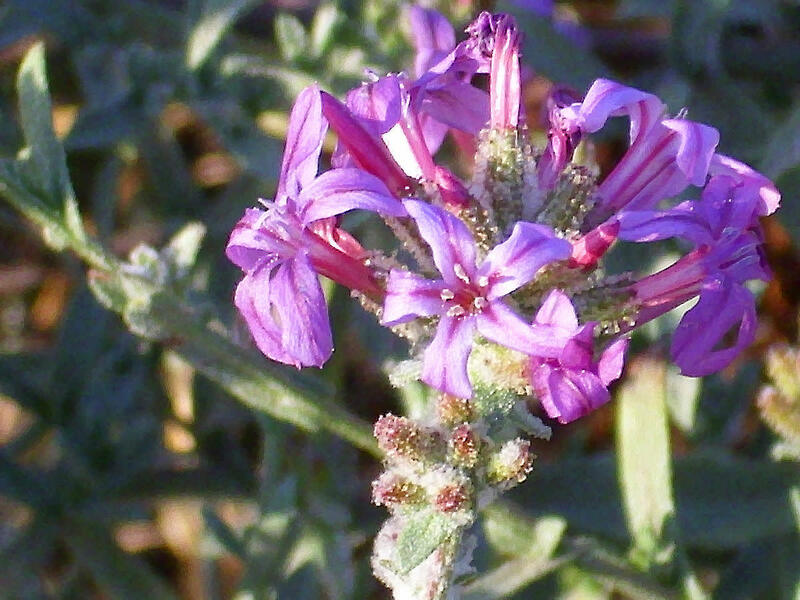 They are a perennial plant and are a native plant in South Africa. They can grow from almost two feet to over six feet in height and have a spreading growth pattern. 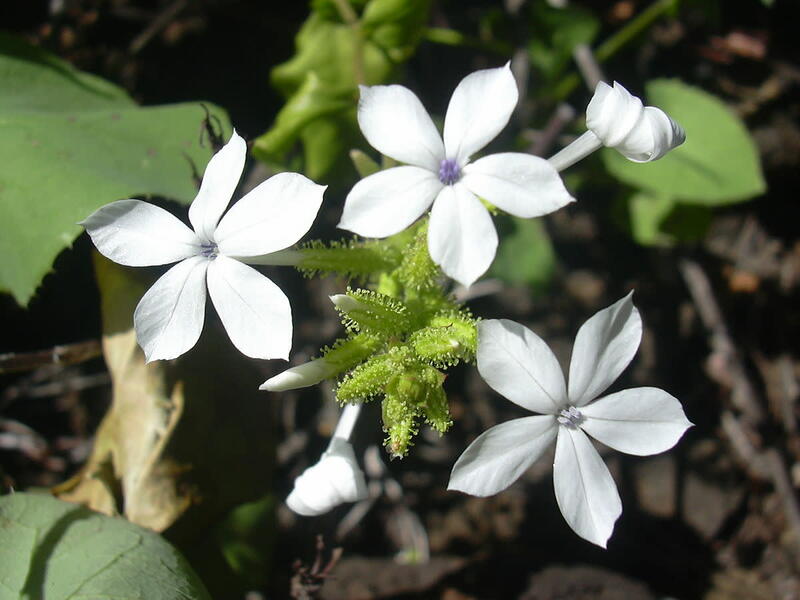 Plumbago plants have flowers in different colors depending upon the species. They can be chosen for their white, pink, red, purple, or blue colors. 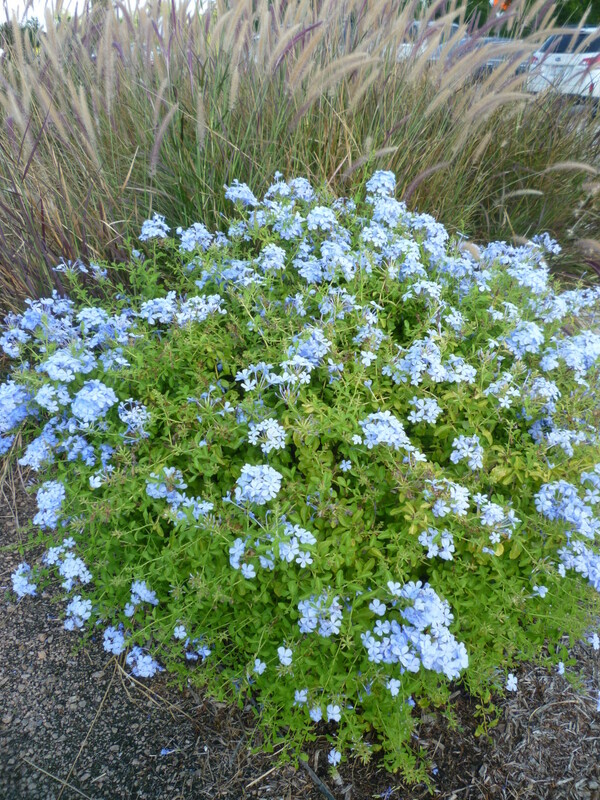 The blue-colored plumbago is the most prolific when it comes to flowering. The blue plumbago bush is officially known as Plumbago auriculata. My mother used to have those blue-colored plumbago plants in her backyard, and they were non-stop bloomers from the time they started blooming in the spring until killing frosts would come in the winter. They draped over a utility box, which made for a more pleasing look. If workers needed to access the utility box, they could still have easy access even if the plant at that time needed to be trimmed back a bit. Plumbago auriculata is evergreen if grown in tropical climates. Here in Houston, if we get temperatures far below freezing, they will lose their leaves but come back again in the spring. They can tolerate temperatures as low as the mid to low 20s Fahrenheit and still live. I usually take the time after they have lost their leaves each spring to give them a good trimming. They thrive in sunny and even in shady conditions and are fairly hardy when it comes to droughts. Heat and humidity do not bother them. Butterflies and hummingbirds love visiting these flowering herbaceous plants. Do you have a problem with deer destroying your plants? Deer do not like munching on plumbagos which makes it a desirable plant for those in open spaces where deer have access. Texas A&M University heartily recommends planting plumbago plants in our area of the country because of the fact that they are disease- as well as pest-resistant. The one thing about plumbago plants is that the flowers have a sticky substance. When pets brush up against them, often the flowers will adhere to their fur and be brought into the house. 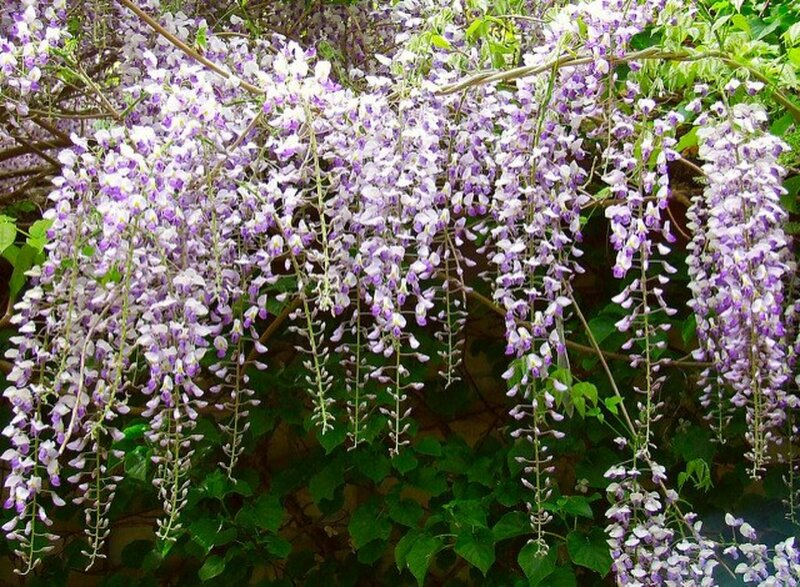 They will also attach themselves to gardener's arms and clothing when brushing up against their blooms. Except for that one thing, which is really not much of a deterrent, if you are searching for a hardy blooming plant in climates such as we have in Houston, think of using the plumbago plants in your landscaping. My hubby and I now have a blue blooming variety in our backyard. Every so often, if our dog Skippy gets close to the plant, which is in a garden bed, he will bring a few of those tag-along blossoms into our home attached to his fur. Generally, we try and brush them off first before we let him enter the house. I try and keep the plumbago plant trimmed back so that it does not cover nearby azaleas and other shrubs. One year after trimming the hardy plant back in the spring, after any danger of more freezes had passed, I decided to put a large tomato cage over the bare stump and branches that were left attached to the stump. That way when it would start to grow I could train the branches to go up the middle of the tomato cage and let the side branches spill out in all directions. Plumbago plants of this blue blooming variety (Plumbago auriculata) will climb up things like fences and other supports. My tomato cage idea worked well. After a short time, the cage was no longer evident, and the plant was taller than had I left it to grow in a mounded shape. It worked out well in our landscape and was very showy. In the video below one of these pretty shrubs seems to be intermingled with some small trees. 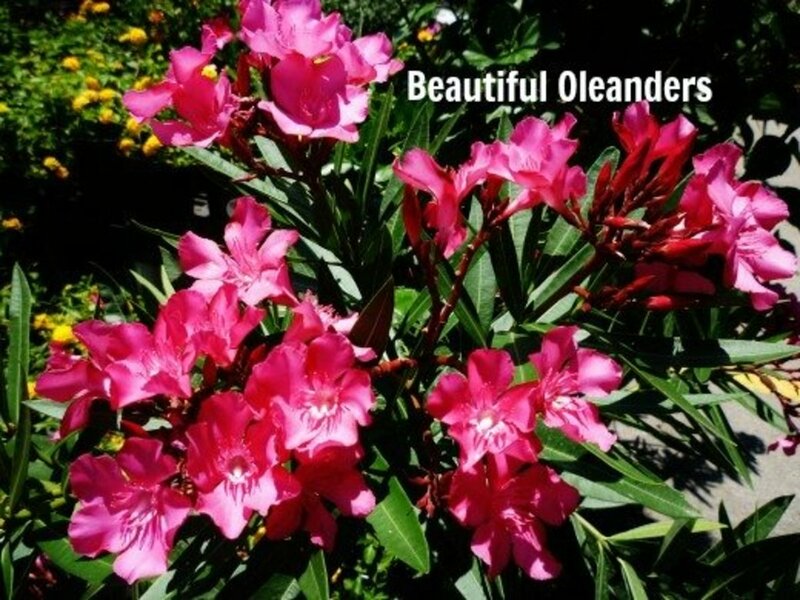 Be sure and allow enough space for these prolific bloomers to spread out and grow if you decide to use them in your garden plan. They can get to be as wide as they are tall! I have seen some grown alongside a home in our subdivision between the driveway and house and it is kept hedged. Obviously those people will not enjoy as much color from the blossoms but that is certainly an option as to how to control the growth if planted in a space where they cannot freely spread out in all directions. They are also a perfect plant to cover a sloping bank. The flowers are self cleaning and the spent flowers fall off on their own accord so once planted they are easy care. Do You Grow Plumbago Plants Where You Live? Not yet but I intend to plant some soon. I do not have room but see them growing in our area. I have a brown thumb and do not garden. No I have not seen them nor do I grow them. Which Is Your Favorite Color Of Plumbago? Can I grow plumbago in a container? Glad to know that you like the idea of using a tomato cage to prop up the plumbago plant. It worked great for us and all of the branches completely covered the wire cage. The Plumbago plants are beautiful and have showy flowers. The tomato cage is a great idea, thank you for sharing. Most of the plumbagos that I see around here are predominantly the blue varieties and some of the white. Nice to know the other colors exist, however. Glad you liked reading this. Thank you so much for writing this. I just learned something new: plumbago come in different colors! I never saw anything other than blue. I have always loved this plant. 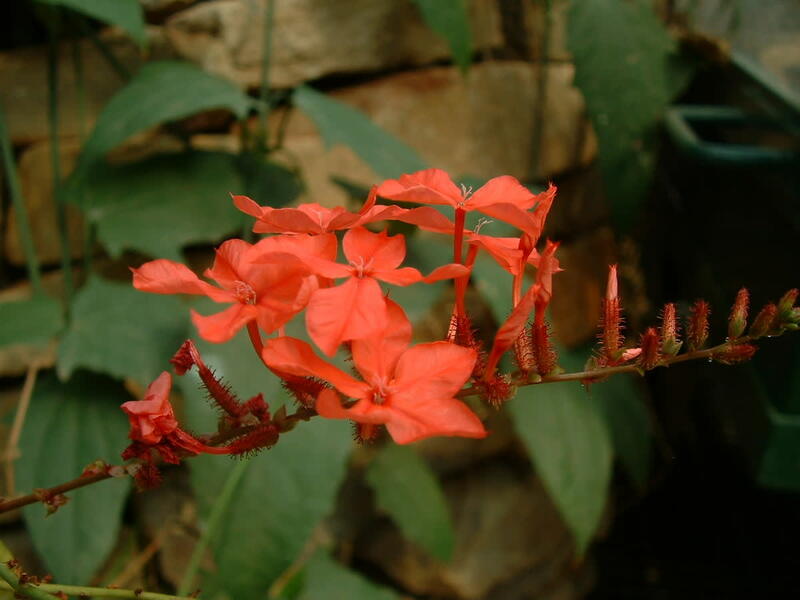 I am pleased that you liked this article about plumbago plants. They are indeed lovely. Lovely plants and seems to adapt to a wide range of climatic conditions. Thank you for sharing this information. Cassandra is a pretty plant and I am sure that your church will appreciate its beauty. Our plumbago is now blooming in our backyard and since our little Skippy is no longer with us we will not have those blossoms brought in to our home via the ride on his fur. We still miss that little guy! Hope you find a home to your liking and that this day is a good one with you and your family. That is what I love about HubPages. We all learn from one another about so many different subjects. I looked up leadwort plumbago and while related (at least the word plumbago) it is a different plant. Its official name is Ceratostigma plumbaginoides. 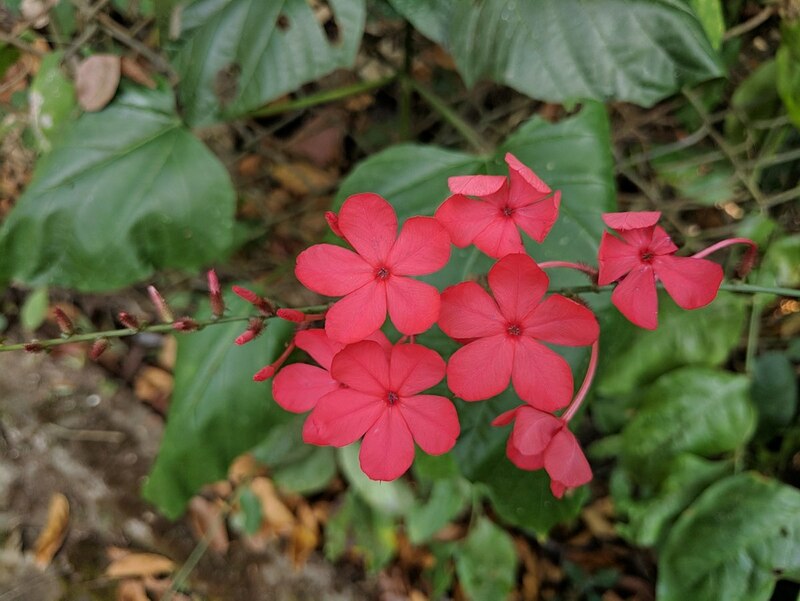 It is a ground cover plant unlike the plumbago featured in this post which grows much taller and is a shrub in comparison. Thanks for the education! Sometimes plants have different names and/or nicknames. I am not sure that the plumbago plant is called anything else but I guess it is possible. 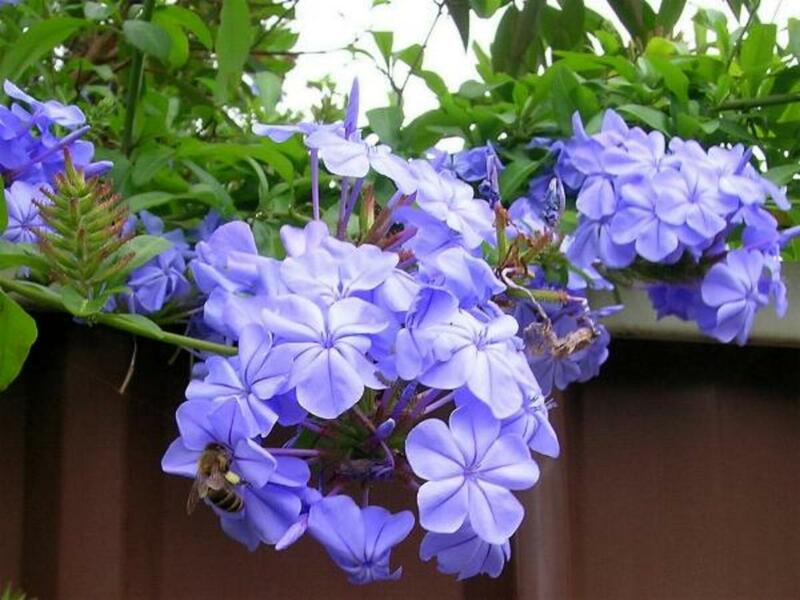 These plumbago plants can grow quite large so get a big pot if you intend to grow one on your balcony. Make sure it gets enough sunlight. Good luck and thanks for your comment. I'm pretty sure I've seen these growing throughout the year in my area. It is good to know now that the reason is tropical climate. Very interesting article. Not sure if they will grow well in a pot in my balcony, but maybe I will try one of these days. Thank you for sharing. The blue plumbago blossoms are a true blue as you can see from my candid shots pictured in this article. Good luck with planting your shrubs. I always mulch our beds to protect the plants from excessive heat as well as cold. It also conserves moisture. Have been wanting to plant plumbago for some time now. Thanks for encouragement to get it done. Our winters swing between mild to sometimes having low teens. I need to research how best to start new plants so I have some small ones potted in case what I plant is lost to cold temps. Though I love white flowers, if the blue is true blue it is very tempting! 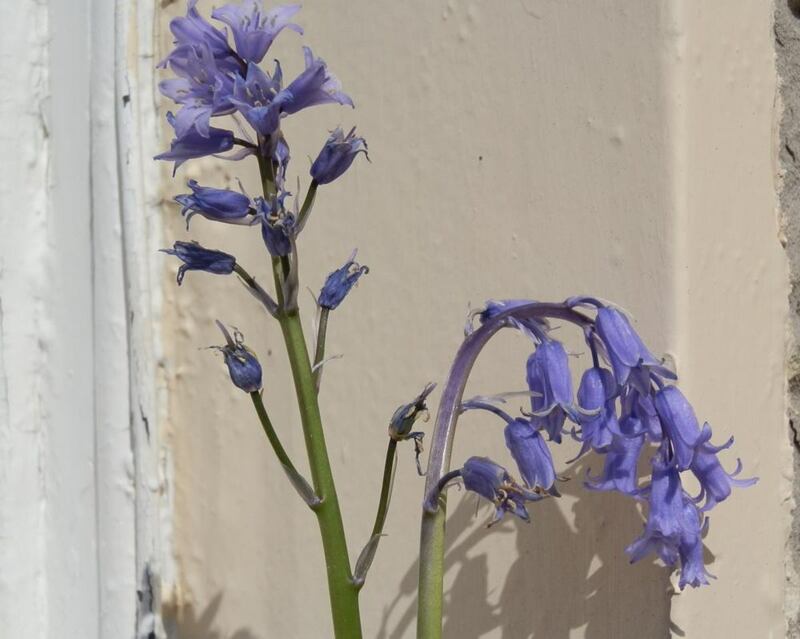 I agree that it is a bit harder to find blooming things with the true color of blue in nature. Of course we have the famous bluebonnets in Texas for seasonal color. 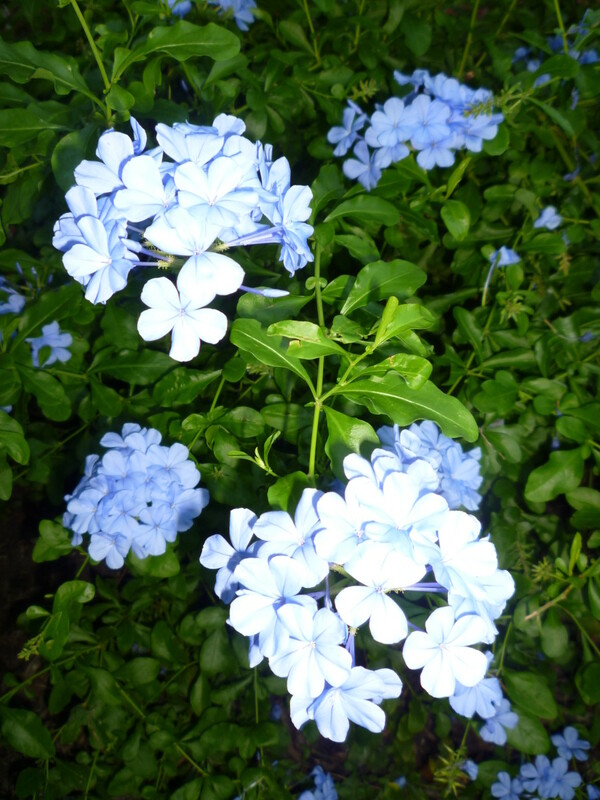 The type of plumbago plant in our garden is one of those plants. It also blooms much longer than our seasonal bluebonnets. Blue plumbago is really blue, isn't it? Not blue-purple. That is so rare. It's a real beauty! I bet it would grow well here in Maryland. You've got me scheming, Peggy! Nice to hear from you. Glad you liked this article about plumbago plants. Hope that you are also enjoying our spring weather. It is getting hot down here in Houston. We did some yardwork today and it was in the lower 90s. This looks like a good solution for people who may have deep ditches to contend with. This plant may grow tall enough to provide privacy from the street and fill the ditch so that it is no longer necessary to mow the grass there. Mowing very steep ditches can be dangerous. On top of these advantages it is beautiful! Very much enjoyed learning about this plant! It's been such a long time Peggy. I hope you and your husband are both well and enjoying spring! Take care . . . It is my pleasure to be able to share this information with you regarding the beautiful plumbago plants. Thanks for sharing the information about these plants and the advice about growing them. They are very pretty. Happy to be able to show you the beauty of these plumbago shrubs Thelma. Wow! This flower is beautiful. I don´t think I have seen that here. I love the violet color. Thanks for sharing your very informative hub Peggy. 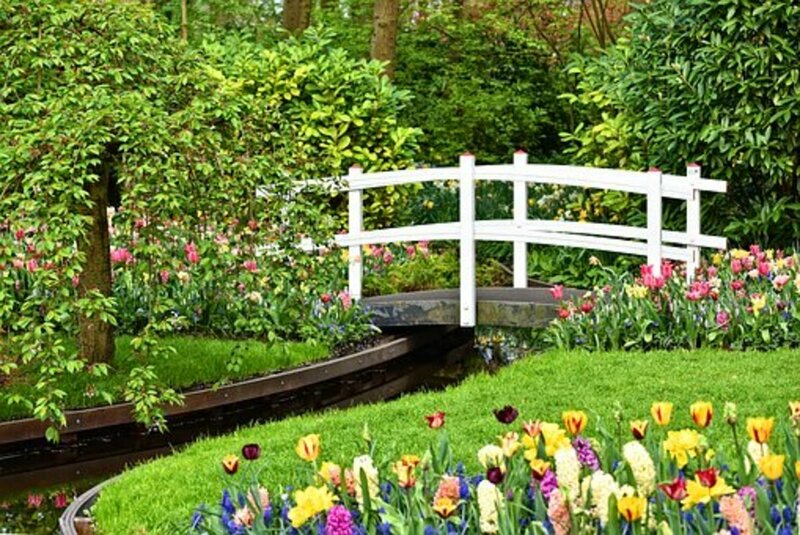 In the spring of the year I think that most people who are able start thinking of how best to enhance their gardens. Here in Houston we can pretty much garden on almost a year round basis. The flowers are beautiful! A time for outdoors and to be active in our gardens. We can do gardening just about year round in Houston. We still have some chores to do before the heat of the summer arrives. Spring and fall are busy gardening times of year where we live. Lovely flowers. It must be nice to be able to do some gardening now. Happy Easter to you also! We have a blue plumbago plant in our garden. Like you I like all of the colors. Good one for welcoming Spring, Peggy. Lovely colours! I love the blue and purple. Happy Easter! That is a cute idea to use those sticky flowers like earrings. Like you mentioned plumbago plants can be trimmed as often as wished and they do bounce back rapidly. It would be fun to see the different colors planted together. 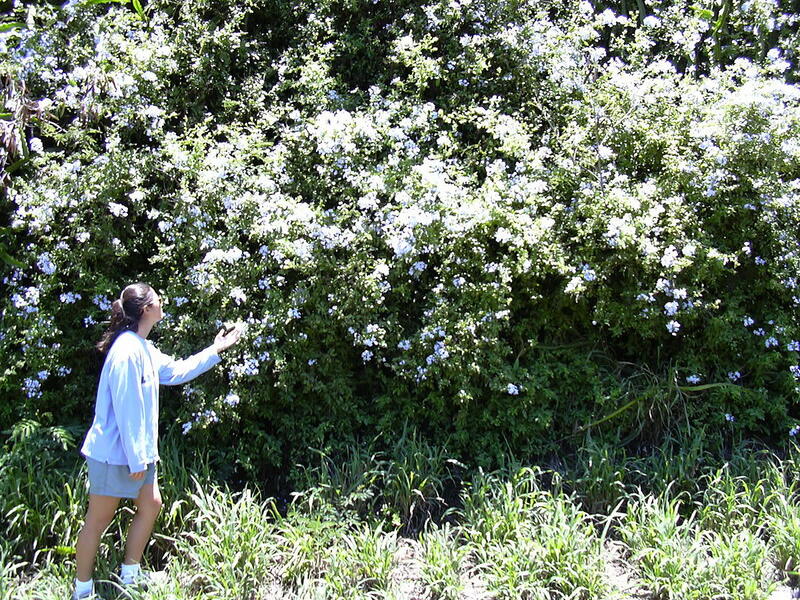 Most of the ones I see planted in the Houston area are the blue and white blooming varieties. Lovely plants and very strong. As children we would always pick the flowers in the garden and stick them on our ears. They would hang quite prettily and we would never get tired of them. Our dogs would also use the bushes for good scratches. The plumbago never suffered because of it. We could prune it to our hearts' content and it would bounce back as beautiful as ever. They are one of my favourite plants. I can't honestly pick a colour but I do love when the white, blue and purple are planted together. They look amazing. Nice that you get to see so many of these beautiful shrubs growing where you live in India. Thanks for your comment. Great article about Plumbago flowers! They can be seen everywhere here in India, in parks and gardens, though I knew it with the common Hindi name. The common ones are blue, white and red in colour. They look beautiful, as they are so many together. I am glad to learn about so many other facts about this pretty shrub, that I wasn’t aware of. Excellent article and very informative! Thank You! If you have never seen plumbago plants growing in your area it is quite possible that they would not thrive there. 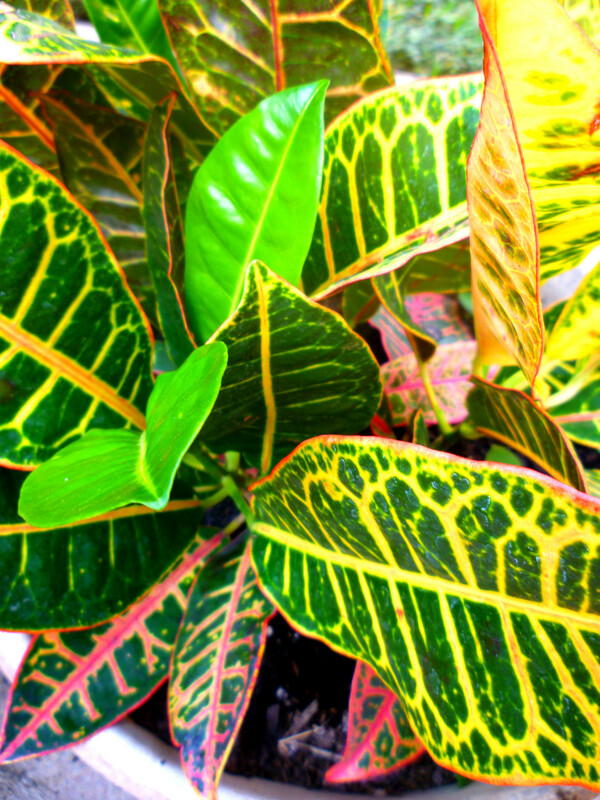 The plants that do well are often sold in most nurseries. Of course there are exceptions. We have some specialty nurseries in our area selling less common plants but ones that do well here. Thanks for your kind remark regarding flowers and in particular the plumbago plant. I really do enjoy the beauty of flowers in all forms. I haven't seen plumbago plants here. But I think we might be too dry for them. There is a tender, thoughtful art when it comes to understanding and nurturing the fragile beauty of flowers. You have that gift, Peggy. 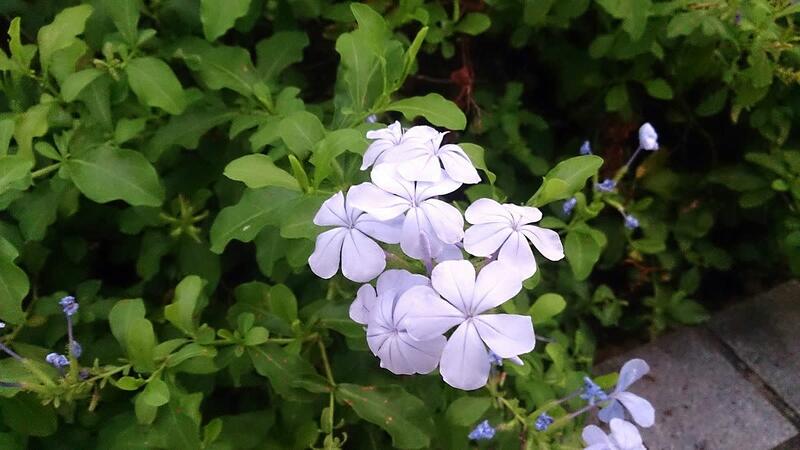 Thank you for sharing it with us, and the beauty of the Plumbago. I do love flowering plants and shrubs in our garden and so do the butterflies and hummingbirds that pay visits to our yard. Thanks for your visit. Sandy soil should be no problem. Once these plants get established they can survive with little water. Of course they need some water but they are definitely drought resistant. As to your trees...the one we have planted in our yard is in partial shade much of the day. Our neighbor's huge oak tree shades much of our backyard. 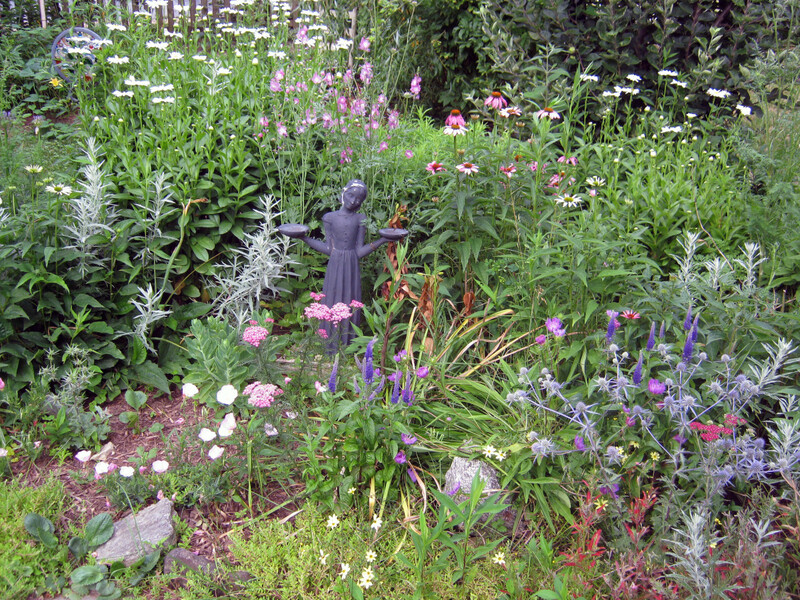 Blue is a more unusual but certainly pretty color in a garden landscape. Appreciate your vote and comment. I do believe I have this flower in a container. I'll have to check in the morning. You certainly have a way with growing beautiful flowers, Peggy. Wow! I have just looked and apparently, these grow in my area but I don't think I've seen them. I am always on the lookout for hardy plants, especially ones with pretty flowers. We have perfect growing temperatures here but our soil is sandy. Although we have a lot of trees, I need to get more flowers. The flowers are very pretty. I voted for the blue flower in your second poll, but I like them all. They sound like lovely plants. We actually dipped down into the upper teens this past winter which is rare but it was not sustained. We were in the 20s for a time and our plumbago was just cut back today. It is showing life near the ground so I know it will regrow. Normally plumbago plants like warmer weather. If you wish to give it a try you could heavily mulch it in the winter months and see it it comes back. Alternatively you could pot it in a large pot and when it loses its leaves keep it in a garage where there is more warmth. Good luck if you decide to give it a try! 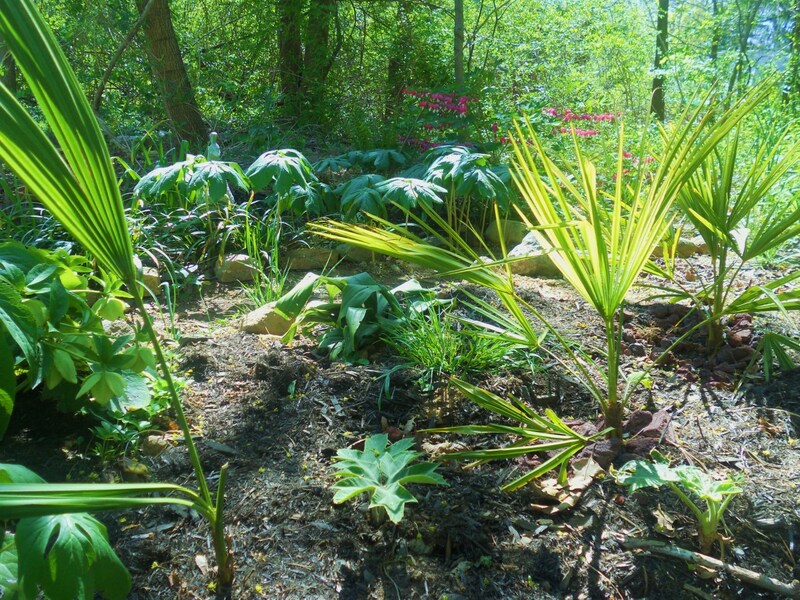 I also like hardy plants and look for them instead of having to replant ones year after year. I mix in a few annuals but truly love perennials. I agree with you that all of the colors are beautiful. Thanks for your comment regarding the pretty plumbago plants. I guess I should have put "I like all the colors" in my poll. At least you now know the name of them since you see them everywhere. Peggy, I'm in Ohio. Do you think these would survive a week of weather in the teens? We get down there sometimes in the winter. I love these plants! This is a beautiful plant that I wish I could Granny w, but it gets colder than the 20s in Virginia. They are gorgeous. I can’t decide if purple or red is my favorite. I see these everywhere but had no idea what they were. They are really pretty and I could not pick a favorite. I like them all! Sorry you cannot grow plumbago plants in your area. Every temperature zone has different growing conditions where some plants thrive and others fare badly or do not grow at all. That idea of using the large tomato cage really worked well and I have continued using it since that first time. If the weather cooperates we will be working in the garden this weekend and I'll be cutting it down for it to regrow. We mostly see the blue and some of the white varieties growing here. Beautiful idea for landscaping with this plant. I loved your idea of using the tomato cage to lift the growth off the ground and spill out of the center. Couldn't decide which color I liked the best. They're all lovely.